Twitter advertisers now have the ability to only pay for actions that align with their marketing objectives thanks to the latest offering from the social media giant. Twitter announced objective-based campaigns, reporting and pricing is now available to advertisers globally following a successful beta trial last August. The program allows marketers to create and optimise ad campaigns and only pay for actions that were successful, rather than just pay for views. 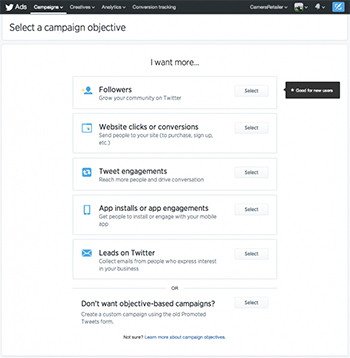 Marketers launching a new ad campaign can choose from six objectives using Twitter’s customised workflow. For example, those wanting to drive traffic to their brand’s website could choose website clicks or conversion campaigns, then only be charged when a user clicks on a link to their website. 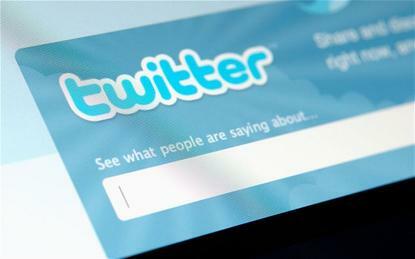 This would mean other ROI metrics, such as engagement, favourites and retweeting, are free. Other objectives include tweet engagements, app install or app engagements, video views, followers, and leads on Twitter. Once an objective is chosen, the campaign setup workflow recommends best ad formats. In a blog announcing global availability, Twitter pointed to a number of brands that had participated in the beta trial including eBay, Gupta Media, Jaguar Land Rover and Tableau Software. Jaguar Land Rover, for example, leveraged objective-based campaigns and pricing to lower costs and improve campaign efficiency. “In adaptive marketing, it’s key to tailor messages to the users’ varying motivations by utilising different media types that encourage them to take the next step in the funnel,” said Raunak Munot, director of social strategy at Mindshare, the agency that managed the car manufacturer’s Twitter program. EBay leveraged objective-based campaign planning and Twitter Website Cards featuring images and clear calls to action to drive traffic, and saw a 59 per cent quarter-on-quarter decrease in average paid cost per link click. Twitter cards are designed to enable developers for brands, publishers and other media to add photos, videos and rich media into tweets. There are six card types available: Summary cards, which give users a preview of content being shared in a tweet; photo cards, for photo previews; gallery cards, which provide a preview of up to four images among a collection; player card, for video and audio streamed clips; app cards, the foundation for selling mobile app ads; and product cards, which provide more detailed information about products and retail items on Twitter. Tableau, meanwhile, use website clicks and conversions objective to connect with people with similar interests to existing Twitter followers, as well as those following thought leaders. “Objective-based pricing reduced our cost per link click by over 40 per cent quarter over quarter, making our ads more efficient, driving higher lead conversions,” said online marketing coordinator, James Carroll. News of the new objective-based campaigning comes a week after Twitter and Google announced relevant tweets will now start showing up in Google search results. - With additional reporting from CIO US journalist, Matt Kapko.